Kushner, Trump's son-in-law and adviser, pushed the inflated number. “We need to sell them as much as possible," Kushner told colleagues at a national security council meeting weeks before the May 2017 summit in Saudi Arabia, according to an administration official familiar with the matter. (Carolyn Kaster/AP) Senior adviser to President Donald Trump, Jared Kushner, attends a dinner meeting with President Donald Trump and business leaders, Aug. 7, 2018, at Trump National Golf Club in Bedminster, N.J.
Another U.S. official said there was a back and forth between Kushner and Department of Defense and State officials on how to get to a larger number because the officials initially told Kushner that realistically they had about $15 billion worth of deals in works, based on the Saudi government's interest in a Terminal High Altitude Area Defense (THAAD) anti-ballistic missile system and maintenance of other systems. But even that order has not been fulfilled. The Saudis have bypassed the September deadline for one of the pricier items on the list -- the THAAD missile defense system. A spokesperson for the National Security Council said that the White House, State Department and Department of Defense worked "tirelessly" with their Saudi counterparts to come up with the arms outlined in the memo, based on "rigorous analysis of Saudi requirements and of optimal U.S. solutions." "This unprecedented level of cooperation and effort led directly to the Memorandum of Intent, which was signed at the summit," an NSC spokesperson said in a statement. "The administration continues to make progress on the $110 billion in intended arms sales announced in May 2017." Kushner declined to comment for this story. 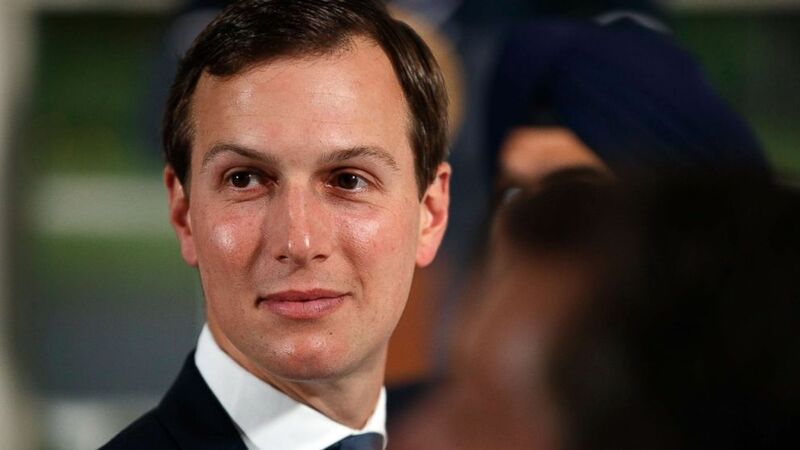 Kushner had taken the lead on organizing the trip because of his close relationship with Crown Prince Mohammed bin Salman. According to the Washington Post, the CIA has concluded that bin Salman ordered the murder of Khashoggi, but Trump has claimed that the CIA report "did not come to a conclusion." Since the deal was signed by Mattis and bin Salman in Riyadh, there has been minimal activity toward purchasing the defense equipment and arms laid out in the arms agreements and signed. According to the Department of Defense, of the original $110 billion, Saudi Arabia has signed Letters of Offer and Acceptance valued at around $14.5 billion for equipment, including helicopters, tanks, ships, weapons and training. 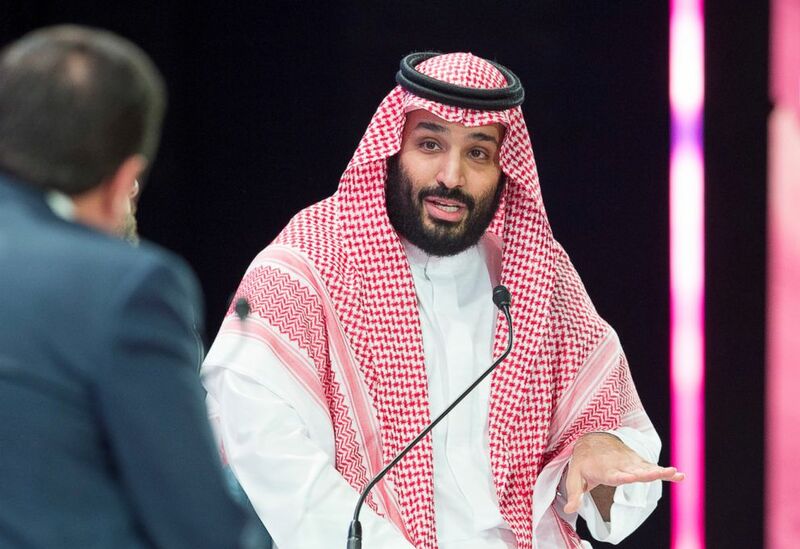 (Bandar Al-Jaloud/AFP/Getty Images) A handout picture provided by the Saudi Royal Palace on Oct. 24, 2018, shows Saudi Crown Prince Mohammed bin Salman speaking during a joint session of the Future Investment Initiative (FII) conference in the capital Riyadh, which included the Crown Prince of Bahrain and the Lebanese Prime Minister. Many of these deals were negotiated during the Obama administration, but U.S. officials say Trump’s diplomatic pressure was effective in fulfilling the pending orders. The memo of intent, seen by ABC News in a photograph and verified by a former White House official and first reported by the Washington Post last year, shows billion dollar price tags for what appear to be at vague deals far from being inked. Many of the details about the quantity and types of defense weapons to be purchased are not listed and are slated to be delivered after 2022 or have a “to be determined” delivery dates and quantities. The president defended his decision to stand by Saudi Arabia in a statement on Wednesday cited Saudi Arabia's investments in the U.S. economy, including the vague arms agreement laid out in the memo of intent. "This is a record amount of money," Trump said. "It will create hundreds of thousands of jobs, tremendous economic development, and much additional wealth for the United States. Of the $450 billion, $110 billion will be spent on the purchase of military equipment from Boeing, Lockheed Martin, Raytheon and many other great U.S. defense contractors." The photo of the memorandum of intent shows an agreement between the two countries with very little legal weight. It states: "This document does not create any authority to perform any work, award any contract, 'issue articles from stock', transfer funds, or otherwise obligate or create a binding commitment in any way either for the United States or the Kingdom of Saudi Arabia." The state official described the five-page list of potential arms sales as items the Saudi officials had signaled interest in or were deemed among their needs by U.S. defense analysts. In one instance, the document calls for an undetermined quantity of Mark VI patrol boats to be delivered at an undetermined date at a cost of $2 billion. Also on the list, a C-130 J aircraft for $5.8 billion, but with delivery estimated between 2022-2026. “It acknowledges it's not binding,” O’Hanlon told ABC News. One former senior National Security Council official said it’s not unusual to push for concrete deliverables to announce at major events, but the official called the scale and level of exaggeration of the $110 billion figure "unprecedented." According to another one former National Security Council official, it wasn’t just about having an unprecedented deliverable on the world stage but also securing more favorable unit sales for the U.S. from defense companies like Lockheed Martin and Boeing. Having the arms in place in Saudi Arabia also made them accessible for U.S. forces, that former official added. 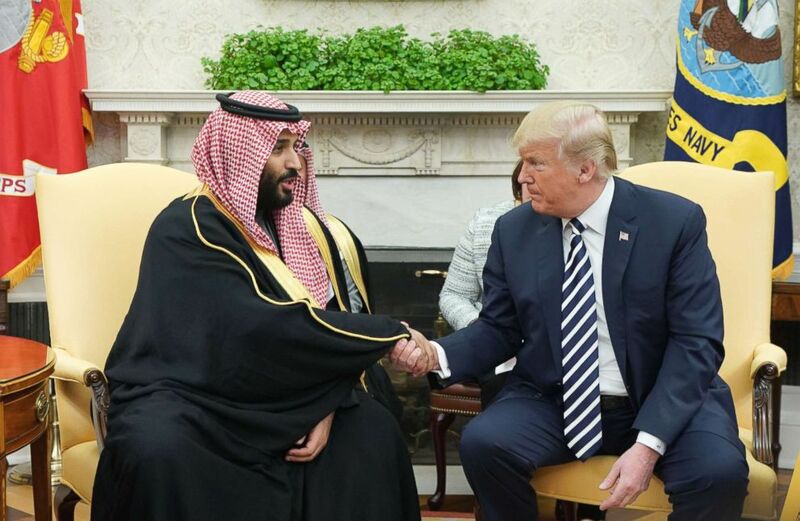 “These details raise even more questions about what is really driving the Trump administration’s refusal to crack down on Saudi Arabia’s behavior," said Democrat Rep. David Cicilline, a member of the House Foreign Affairs Committee. When Trump hosted bin Salman at the White House last year, he rattled off many of the names of the weapons proposed. “Some of the things that we’re now working on and that have been ordered and will shortly be started in construction and delivered: the THAAD system -- $13 billion; the C-130 airplanes, the Hercules, great plane -- $3.8 billion; the Bradley vehicles -- that’s the tanks -- $1.2 billion; and the P-8 and the P-8 Poseidons -- $1.4 billion," Trump said. Over his eight-year term, Obama engaged in $115 billion in arms deals with Saudi Arabia -- some of which were not finalized -- but never announced the deals in one blanketed package. Since the death of Khashoggi, Trump has insisted the U.S. would be "foolish" to disrupt any potential weapons sales with the Saudis. On Tuesday, Trump said, "China and Russia would love to make $100 billion worth of military equipment for Saudi Arabia. ... That would be a big, fat, beautiful gift to Russia and China. They're not going to get that gift." A representative for the Saudi government did not respond to a request for comment. ABC News' John Parkinson and Conor Finnegan contributed to this report.